Erik Spehn Tape Drawing #22, 2007, 9 by 14 inches. Erik Spehn Tape Drawing #30, 2008, 11 by 14 inches. 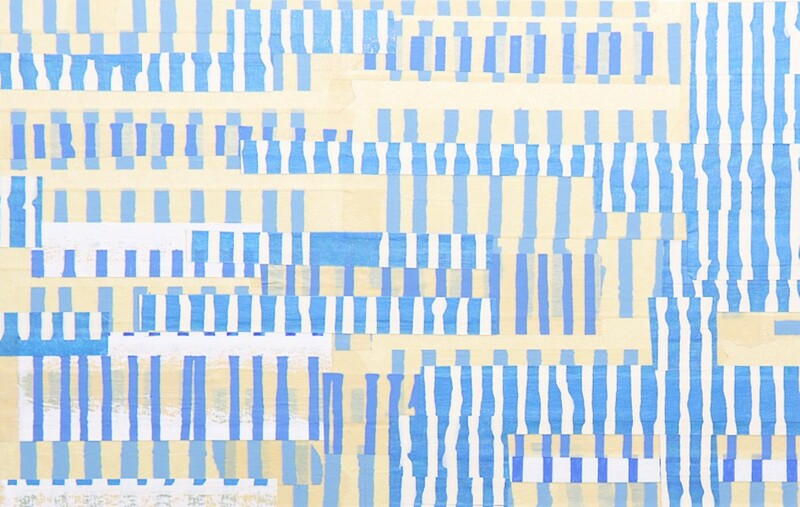 Erik Spehn: Tape Drawings Strips of masking tape used in the creation of this St. Louis-based painter's signature woven-pattern acrylics on canvas are reused in this series of small works on matte board. While calling these pieces "drawings" may imply that they're not as formidable as their painted counterparts, the exhibit proves otherwise. Arranged in chromatic groups, crosshatchings of red-, then maroon-, then blue-flecked strips appear to explore different approaches to pattern. Wide swaths of tape overlap in loose diffusions, while minute, finely cut pieces interweave in tight grids. 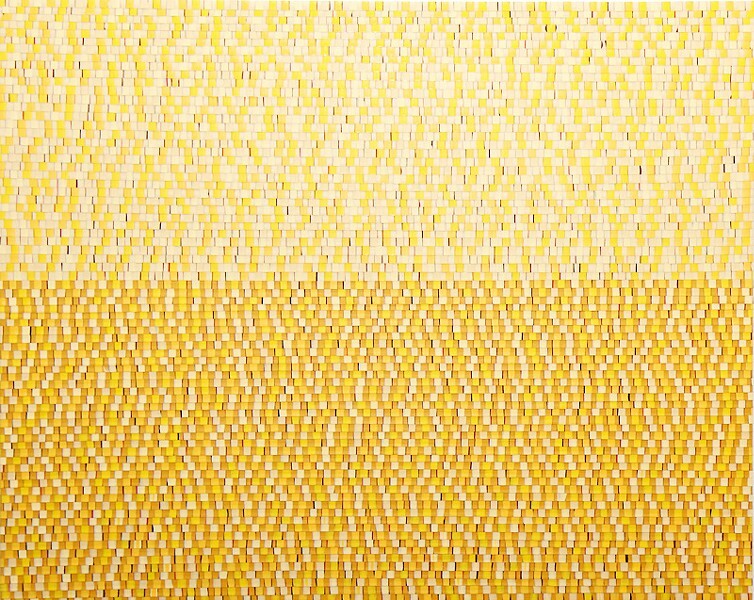 As one moves through the gallery, the palette brightens, opening up to a full room of yellow- and golden-hued pieces that seem to be uttering among themselves a complicated language in lines, layers and other distinct and serial marks. Through September 18 at the Sheldon Art Galleries, 3648 Washington Boulevard; 314-533-9900 or www.thesheldon.org. Hours: noon-8 p.m. Tue., noon-5 p.m. Wed.-Fri., 10 a.m.-2 p.m. Sat. Correction published 6/21/10: In the original version of this story, we erroneously stated that Spehn's paintings are oil on canvas. In fact, they are acrylics on canvas.